This month, I was asked to manage our Stampin' Up groups, Team Swap. I was honored to be ask. This month the theme was "Thank You", and so I got busy creating my card early. I realized this morning that I hadn't shown it yet. So, if you are reading this and you are in my group, now you know ahead of time! It's a fairly simple card, but when you have to make multiples of anything, it's sometimes easier to keep it simple. I have used some inking, punching and fussy cutting to get this one done. The background paper and stamping were done with the new Sweet Sugarplum color. I also used the new color, Dapper Denim for the flowers and tag. The stamp set used for the background, is one of my favorites, Timeless Textures. The flowers are from the set, Flower Shop, and the tag is from Awesomely Artistic. Because I wanted a sentiment that fit into the tag that was a thank you, I used my stamp-a-ma-jig, and used the thanks from the Crazy About You set. Wow, that was a lot of different stamp sets, but I am happy with the way it came out. Oh, and lest I forget, the background strip was from the paper stack, Playful Palette. Whew, that was a lot! Don't forget, leave a comment here and be entered in my giveaway. If you add comments on other recent posts, that gives you more entries! I am wondering how many of these you made! They turned out really pretty. 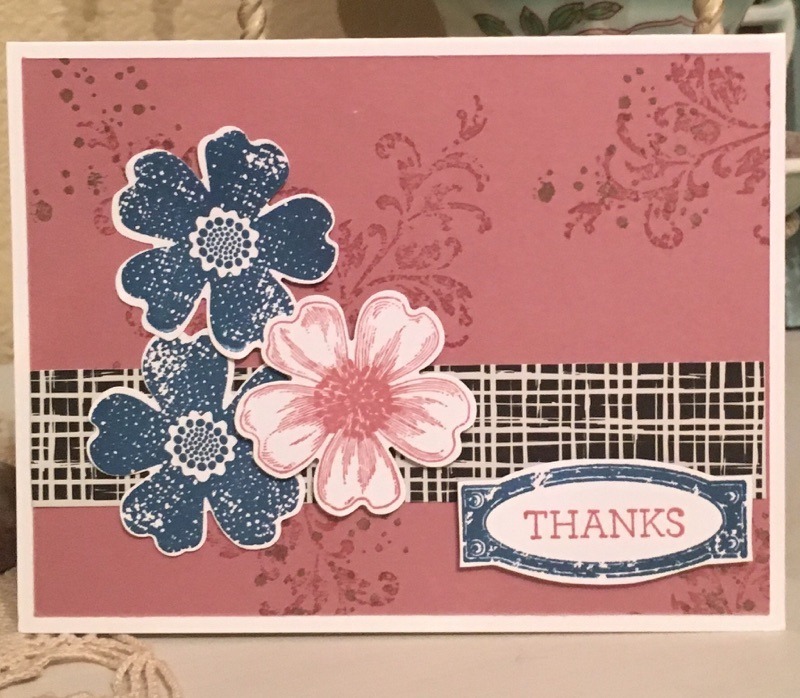 Love the new color and the design you used for the background from Timeless Treasures! You have me taking a closer look at Awesomely Artistic also! It's a very pretty set! Love it!!! Can't wait to get this set! I want the Awesomely Artistic also! 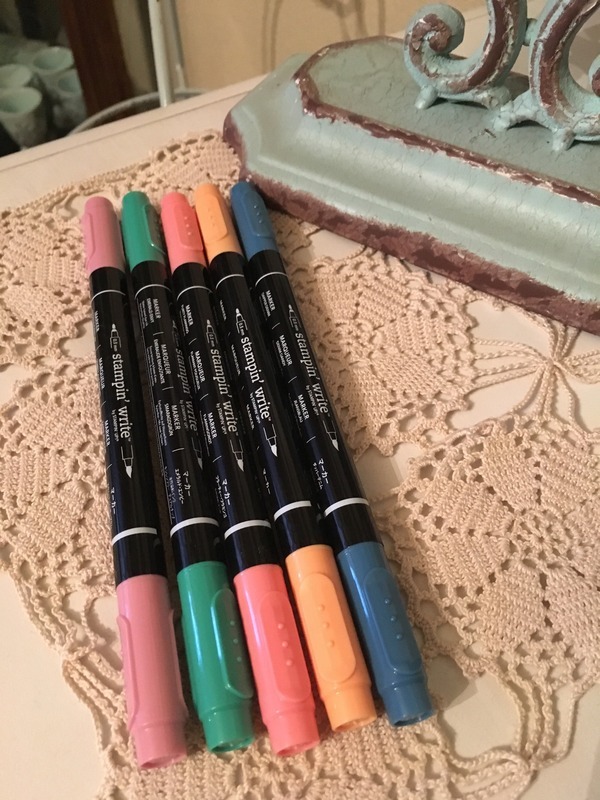 I think the monthly swap thing is such a fun idea! Lots of work though!